This 1 1/2" wide bridal satin ribbon is smooth and shiny and features a coined edge. Add your foil stamped logo for a customized corporate gift or any other occasion such as a bridal shower or baby shower. 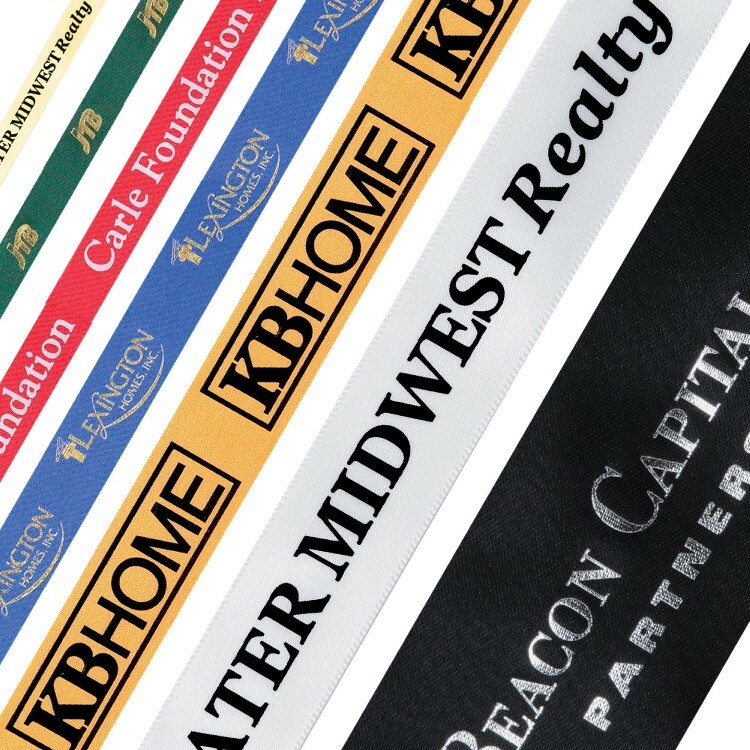 Ribbon includes one color foil stamped on one side only. Each roll is 50 yards long. • Price includes 1 foil color on 1 side only. • Maximum Artwork Imprint Area: 7" long x 1 1/4" tall. • Must allow 1/2" of space between each imprint.